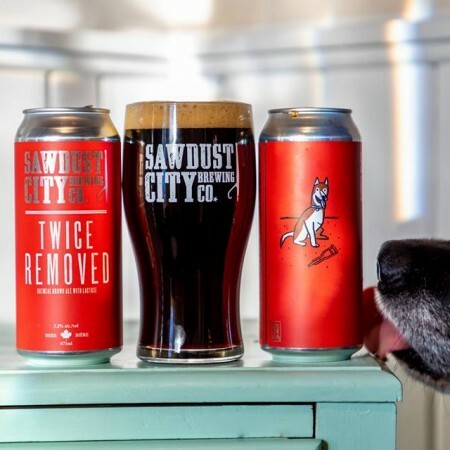 GRAVENHURST, ON – Sawdust City Brewing has announced details of the 12th of its 52 weekly beer releases for 2019. A “true pint”, this creamy brown ale has a massive malt body that’s delicately balanced with just enough bittering hops to make you come back for more. Loaded with flavours of coffee, roasted malt and just a touch of caramel, this rich, malty ale is perfect for those chilly, early-spring evenings. Twice Removed will be available tomorrow (March 21st) at the Sawdust City retail shop and online store, as well as select beer bars in Ontario, while supplies last.